If you are tired of constantly monitoring the water level on top of your winter cover, then our new EZ DRAIN COVER is for you. EZ Drain comes with a drainage system sandwiched between layers of the cover. 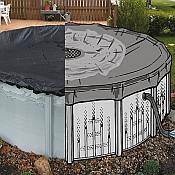 Simply hook up the cover drain to your pool's return line with the hose that is included and the cover automatically drains itself of excess water. 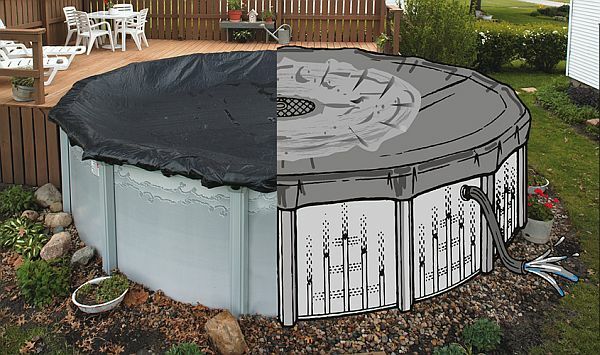 EZ Drain removes damaging excess water weight from your pool cover all winter long. Eliminates cover pumps, siphons and the need for costly air pillows. Not only does EZ Drain automatically remove rain water, but it is a tough and durable winter cover that will protect your pool from winter's worst. It is made from super-strong triple laminated woven polyethylene with a specially designed inner scrim that is extremely tear resistant. EZ Drain is UV protected to shield it from the damaging effects of sunlight. The cover is backed by a 15 Year Pro-Rated Warranty with 3 years at full coverage. The covers have a 3 foot overlap to ensure a proper fit. EZ Drain covers come complete with cable and tightening system, drainage hose and fittings. Minimalinstallation required. 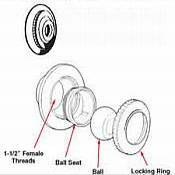 EZ Drain can only be installed on pools with Hayward style returns. 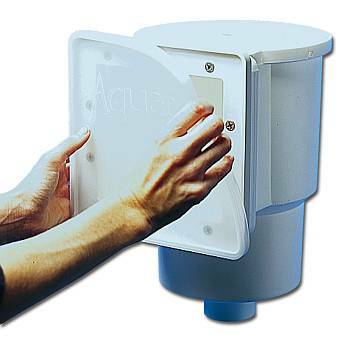 Pools with non standard returns such as Doughboy, Lomart, Muskin and pools with Aqualuminator lighting systems are not compatible with EZ Drain. How do I know if the EZ Drain will work with my pool? Please note that the EZ Drain Cover will not work on pools equipped with non-standard returns such as Doughboy, Lomart, Muskin, and pool with a through the return light such as the Aqualuminator. 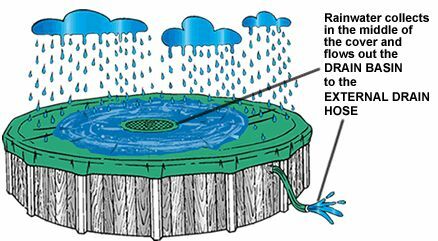 In Order for your EZ Drain Cover to work correctly you must retain normal water height in your pool during the winter. 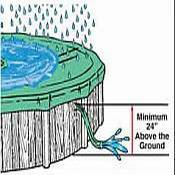 Your Pool Return Fitting must be a minimum of 24" above the ground. If you meet all of these conditions Then Congratulations! You can use the EZ Drain Cover.